Every so often I come across a collection of eyewear that just kind of speaks to me. Well, when you think about it and actually look at the frames from this line they sort of do…Let me explain. WOOW was thought up by two superstars of the eyewear industry Nadine Roth and Pascal Jaulent (you may know of a “little” collection called FACEảFACE, yeah that was them too…major swoon). In 2012 they launched this 75 piece collection of chic, uni que, and quite frankly cheerful frames. I’m aware that you all may think that I’m crazy by now. Thus far I’ve stated that this collection not only “speaks” to me, but now it’s also cheerful?! Put the straitjacket down and hear me out! Each frame speaks to its wearer by way of a two word message at the end of each temple. Why do you ask? TO CHEER YOU UP. Sayings such as, “Marry Me, Get Lucky, and Don’t Worry” to name a few. Stop it right now! Can this get any more adorable? Yes, yes it can. The messages are written on vintage inspired typewriter keys placed into each temple tip (insert heart eyes Emoji). I know it may seem like an insignificant detail to some, but I feel like we all have so much that goes on in our daily lives that this, is just one of those “little things” that can make you stop for a minute and smile. WOOW puts is perfectly, stating that “the frame will make the wearer smile first thing in the morning…better than a coach”. I have to say since I w ear one myself, I agree. They make me smile each time I put them on. 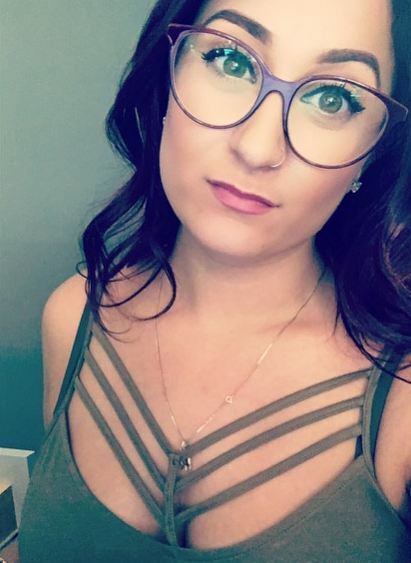 When I receive compliments about how they look I love to take them off and show off the message. In addition to the temple tip detail the collection as a whole is just beautiful. Exceptional, thoughtful craftsmanship, vibrant frame colors and combinations, and don’t get me started on the frame shapes otherwise this post will never end! 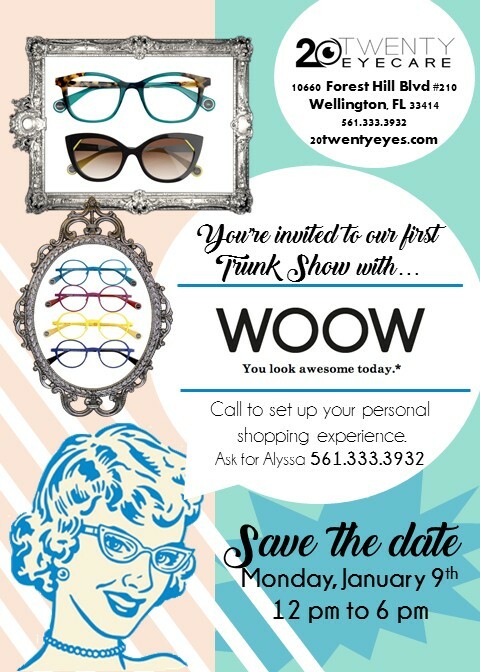 Be sure not to miss our WOOW Eyewear Trunk Show, on January 9th from 12-6. Call the office and ask for me (Alyssa) soI can make you an appointment. Walk-ins are always welcomed, however if you have ever been to any of our trunk shows, you know how busy they get! Stop by and take a peek at one of our newest and most beloved eyewear collections!